Posts that have been published about us in the media and technical articles, that we have written on particular topics. 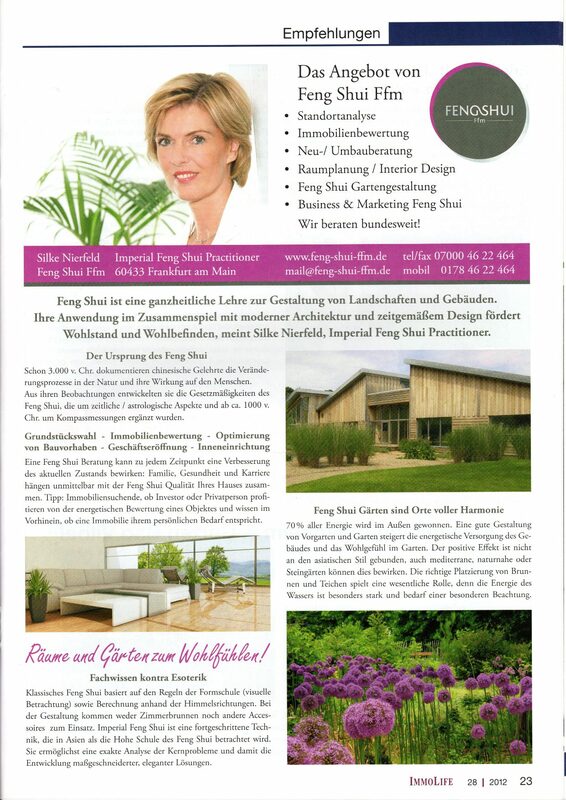 Among 300 addresses are only two recommended Feng Shui consultants. We are very proud of this award. In the February issue 2016 of Naturopathy Journals we wrote about how to improve health and well-being in the practice rooms. 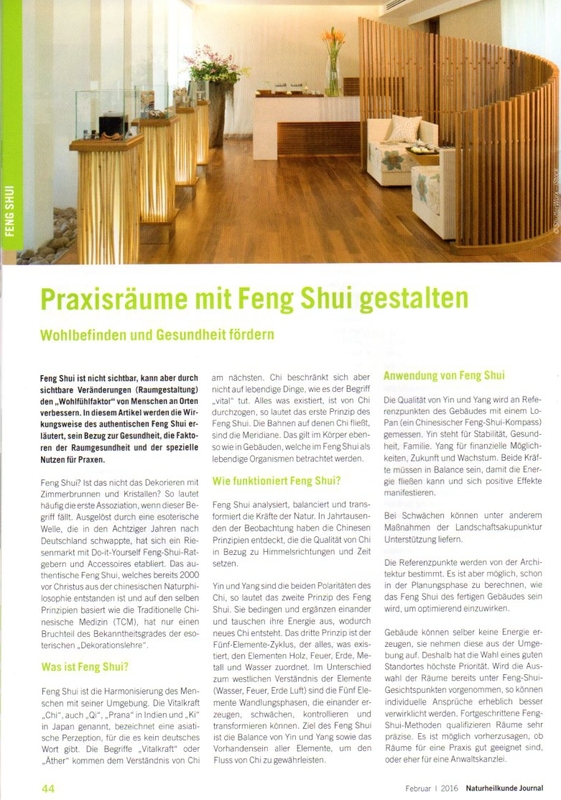 The article explains the operation of authentic Feng Shui, its relation to health, the factors of space and the special health benefits for practices. 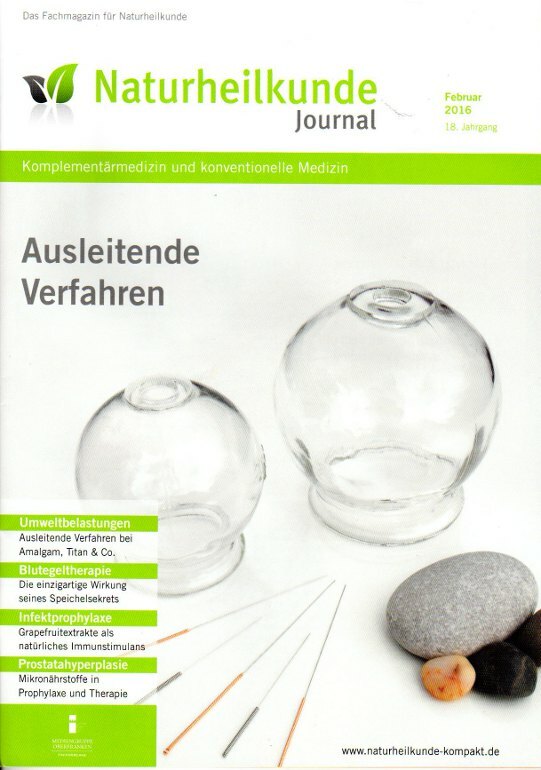 You can read or download the PDF in German. 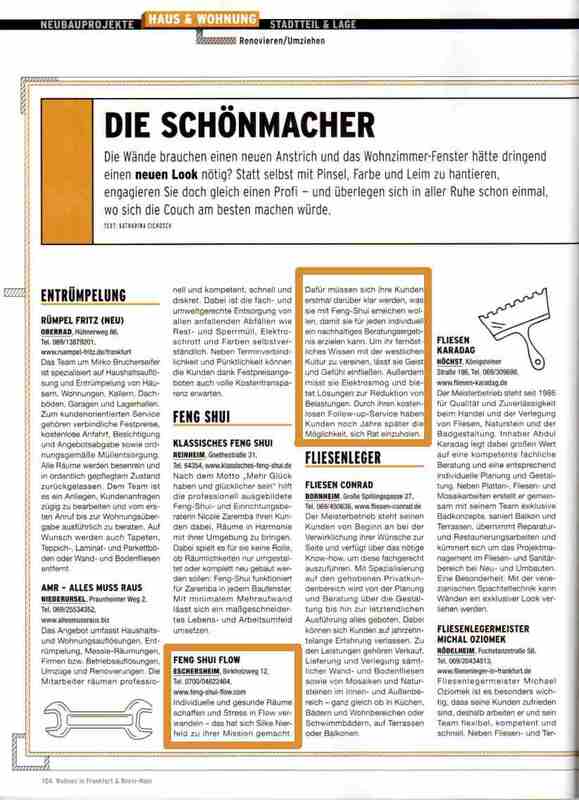 A recommendation in Immolife magazine Frankfurt. 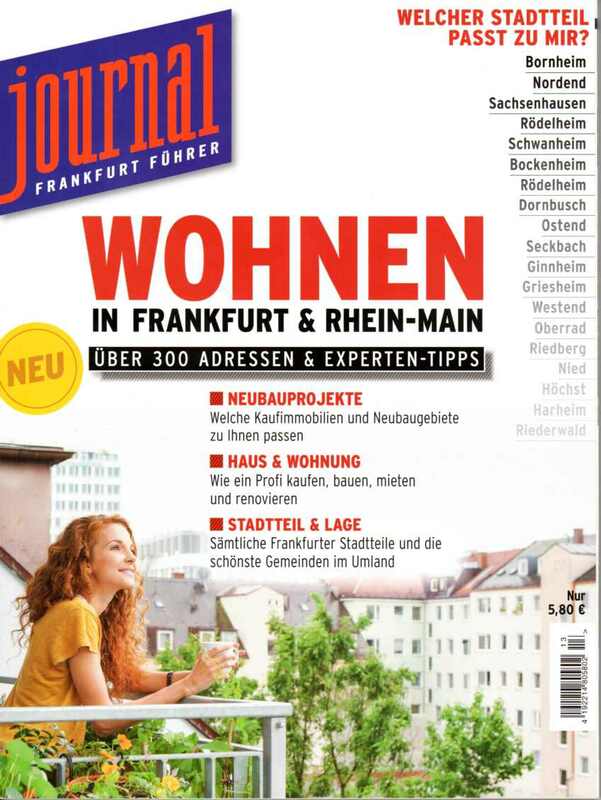 At that time we were still called Feng Shui Ffm. In the meantime, we have not only changed our name, but also our services. The topics Geobiology, Electrobiology and Bioinformative Medicine are now offered in addition. The complete booklet you can view online, page 23.